According to The National Association of the Remodeling Industry (NARI), remodeling today is driven more by personal enjoyment or meeting specific needs rather than adding resale value. 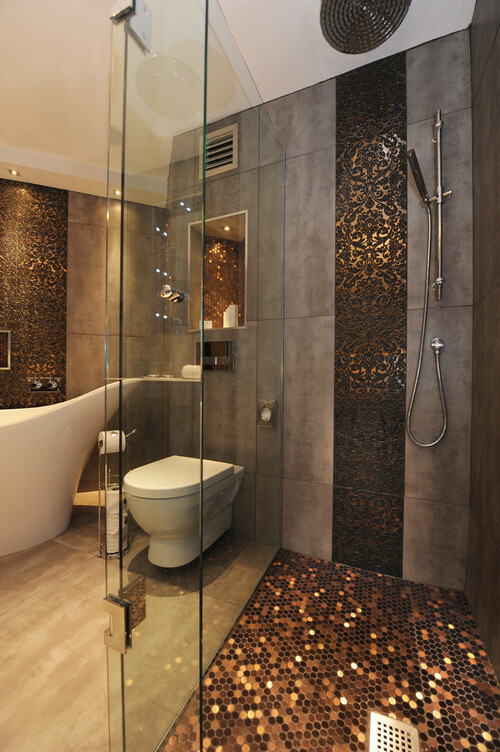 But renovating your bathroom is no small investment in terms of both time and money, so it’s important to ensure you have a clear vision of how you want your revamped space to look, work and feel. While it certainly isn’t necessary to follow all the trends to have a good design that’s pleasing, learning about the latest in design can help you get on track and pinpoint what you want and need. Here’s a look at some 2016 trends that offer a fresh new approach to bathroom design. Geometric-inspired faucets and fixtures are finding their way into bathrooms and powder rooms across America. Angular designs are making appearances in a variety of bath elements, including bathtubs, showerheads and soap dishes. 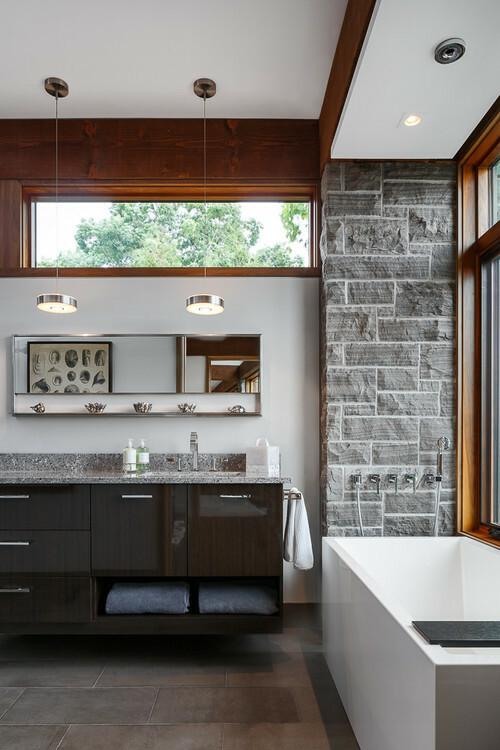 Expect to see more earthy materials like natural stone and river rock in bathrooms next year, not merely on floors and walls, but also on vanity tops, sinks and baths, feature walls and bathroom furniture. While metallics have been a major trend the past few years, these luxe finishes won’t be falling out of favor anytime soon. Metals contrast beautifully with natural elements, while reflecting light and injecting style into the bathroom, whether with an industrial twist or a hint of glamour. One emerging color trend for 2016 is white, or more specifically, off-white. In fact, both Benjamin Moore and Gladden have made off white hues their “color of the year” for 2016, and Sherwin -Williams and Behr have included off-whites in their 2016 color trend forecasts. Gray has been trendy for the past few years, and it promises to remain strong in 2016. Gray and white will be a popular combo for 2016 bathrooms. Black and white will be making a strong statement for 2016 bathrooms. Particularly, designers are doing interesting things with black and white tile. Black, gray and white is another interesting color combination you will be seeing in the coming year. Embrace your feminine side because pink is in. Whether it’s bright and flashy or a more subtle pink blush, an earthy taupe or cotton candy, it’s all about shades of pink this season. Don’t be afraid to indulge in pinkiness: pink towels, pink walls, pink cabinets and window frames, even pink paint or wallpaper. It’s all good! Wherever your bathroom remodeling takes you, Prestige Marble & Granite can provide you with the perfect natural stone surfaces to complement your personal style. We offer a large selection of exotic and rare natural stones that are sure to provide your design project with a one-of-a-kind look. Stop by our indoor showroom anytime; we’re here to help you every step of they way – from selection and layout through fabrication and installation. 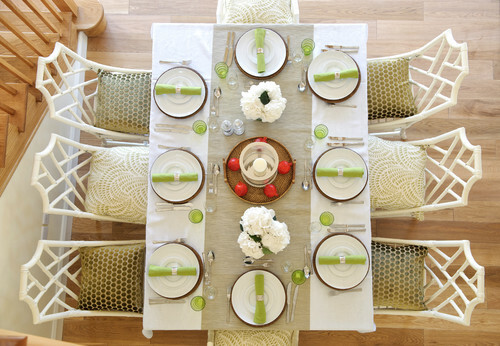 We all want our tables to look the best they possibly can, especially when entertaining during the holidays. Whether you like bold metallics or understated displays, think beyond your fine china when setting the table this holiday season. Here are some dazzling table settings and centerpieces for sparkling inspiration when hosting get-togethers for family and friends in the coming days. 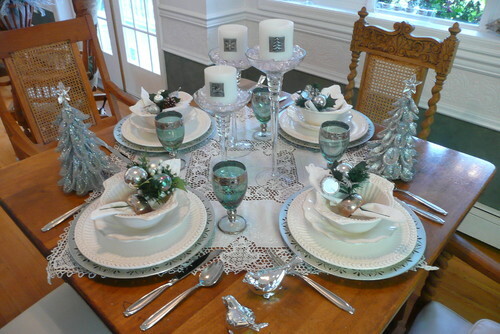 Nary a green or red decoration in sight, this somewhat coastal color combination of light turquoise and silver brings a calm, relaxed feel to the Christmas table. Navy goes well with anything, including Christmas decorations. Mix it with a bit of silver sparkle and white accents for a clean, refreshing look. 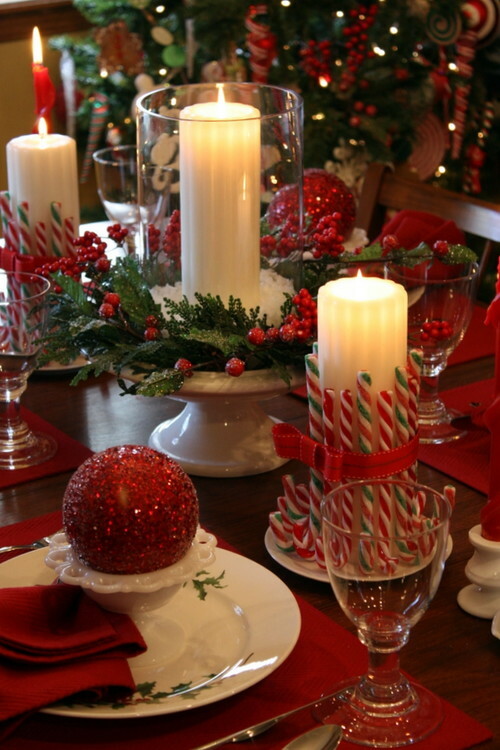 Red and green candy canes lend a touch of whimsy to this traditionally elegant holiday table. 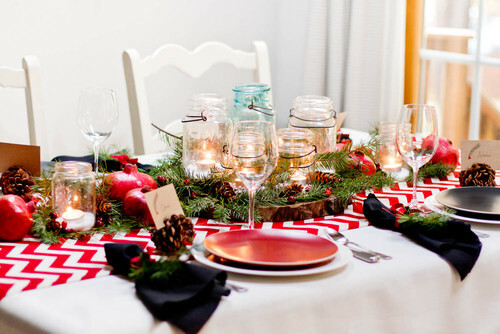 This lovely Yuletide tables cape has a more casual vibe, with bold red zigzags, mason jars and elements from nature. 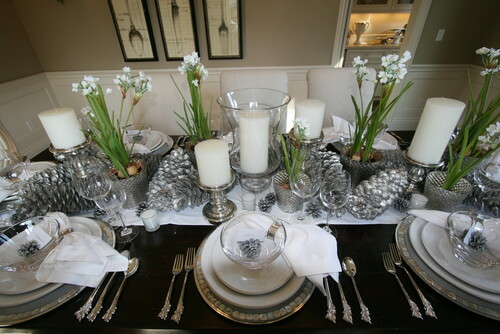 Understated elegance: silver pinecones, “Paper Whites” (Narcissus) and white candles conspire to make this elegantly set table even more dazzling. 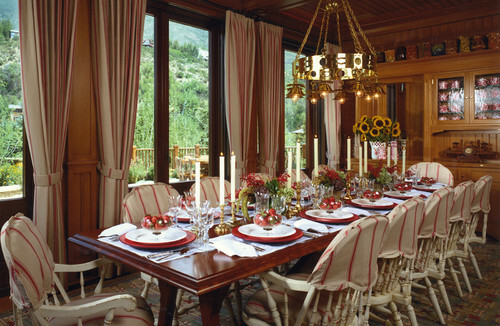 The tartan blanket serves as the perfect tablecloth for a holiday table setting. 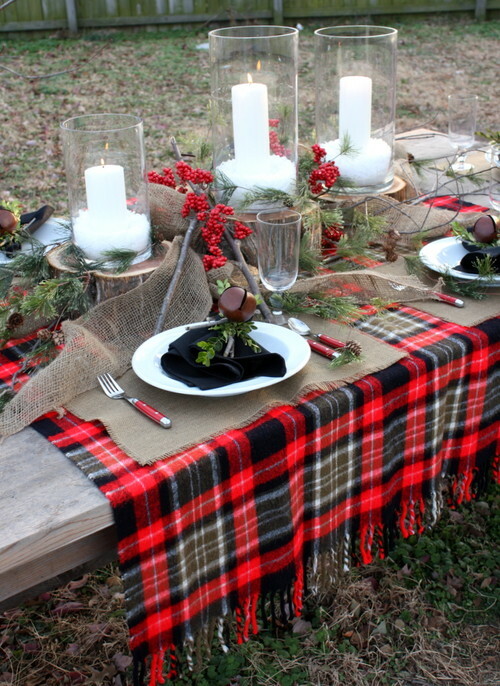 The red berries, burlap placemats and hurricane lanterns pop against the red of the tartan print. With red stripe chair covers and window treatments already in place, this dining room just needed a touch of holiday cheer to complete the Christmas vibe. Modern, minimalist, symmetrical and just downright gorgeous! Prestige Marble and Granite is your Middle Tennessee source for stone countertops, custom fabricated from nature’s finest materials, including rare marble and exotic granite. 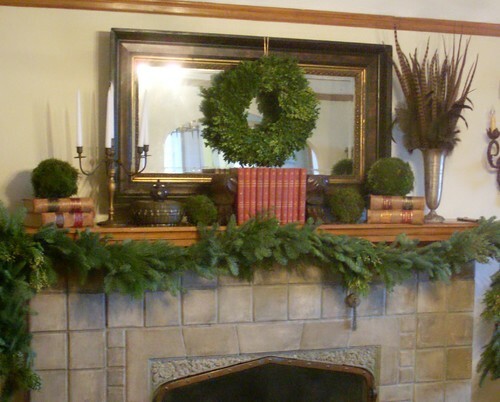 The mantel is often the easiest place to add some instant holiday cheer. 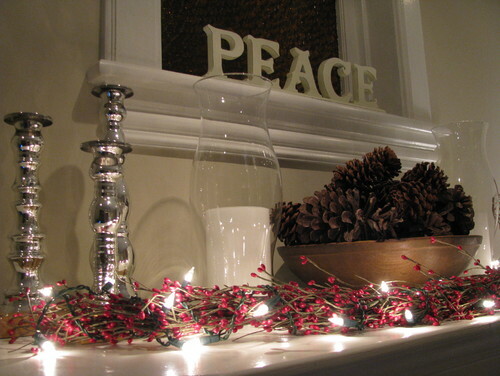 Look no further to find inspiration for your holiday decor. 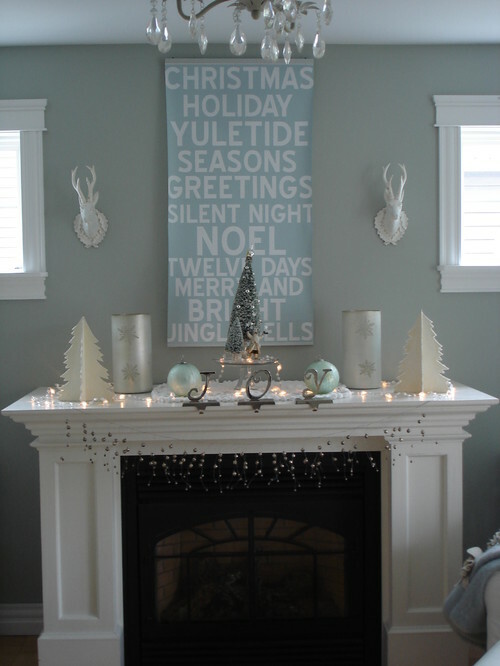 This mantel is so bright and festive! Fresh fruit has a way of making any room inviting. 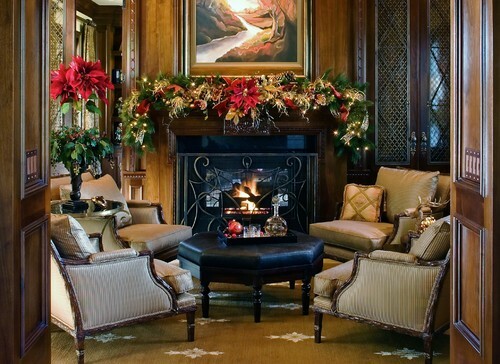 This elegant mantel decor in traditional red, green and gold is perfect against the rich wood tones of this enclosed living space. 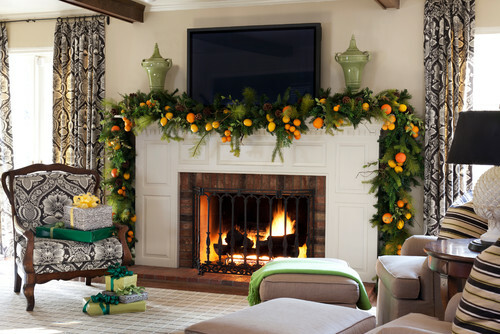 This living room mantel is proof that Christmas decor can successfully include vivid, bold, nontraditional colors. 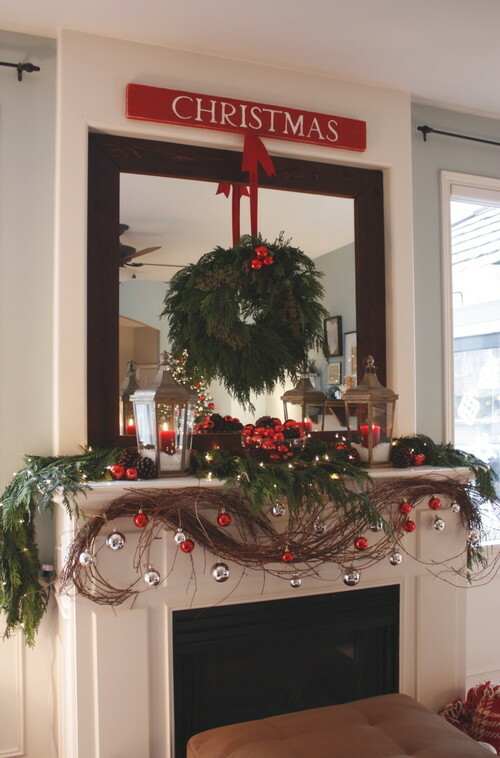 Fresh greenery, twigs and bright red accents give this farmhouse mantel a cheerful and inviting vibe. 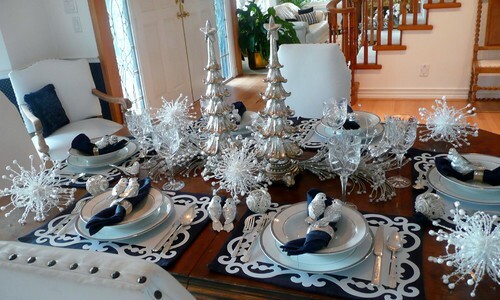 Blue, white and silver feels as fresh and natural as a Christmas palette in this pretty space. 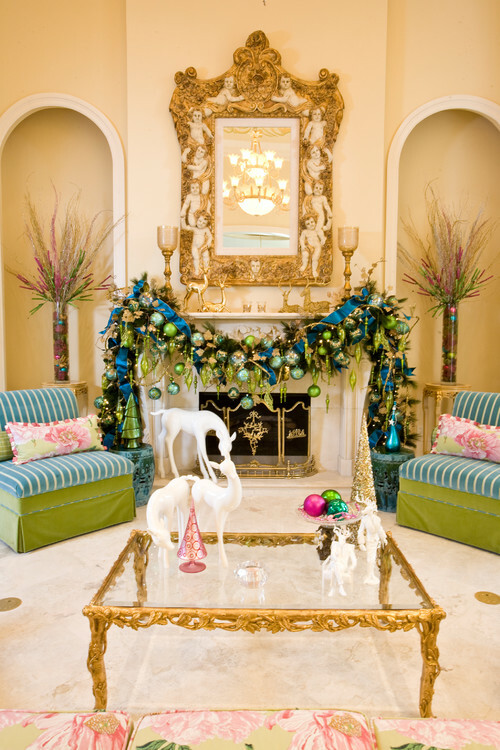 Again, proof that nontraditional Christmas colors can work beautifully, even in a very formal room such as this. 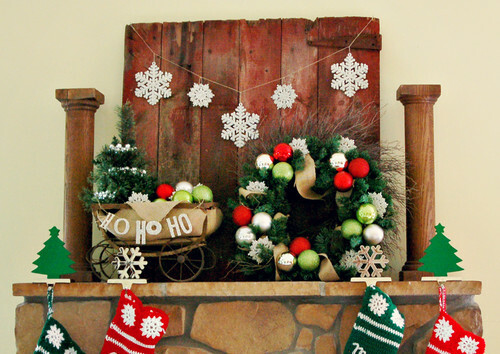 Perfect holiday decor for a rustic family room! 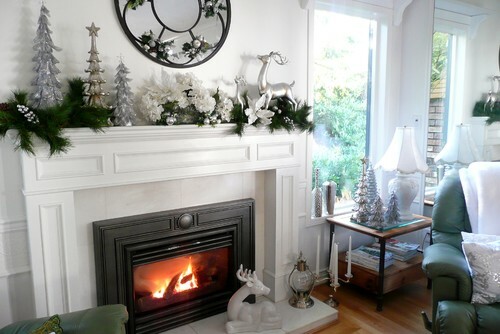 Avoid an overstimulating holiday season by opting for the clean, fresh look of white and silver. 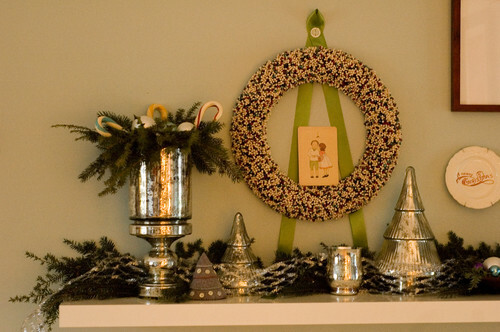 The birdseed wreath is a quirky twist on holiday decor, but it somehow fits right in with a mantel decked out in raditional greenery and silver mercury glass. Understated Elegance – add unadorned greenery to decorative items like old books and urns for a beautiful, natural look. While red berries are typically used as decorative “garnish,” wrapping them with a simple string of white lights, and pairing them with pinecones and white candles, allows the berries to stand on their own. In an unprecedented move, color authority Pantone has announced not one, but two colors of the year to reign supreme in 2016! While the colors, Rose Quartz and Serenity, might call to mind a birth announcement for some, Pantone says that isn’t the aim – these shades were chosen to convey rosy warmth and tranquility. Pantone states that the prevalent combination of Rose Quartz and Serenity also challenges traditional perceptions of color association. Pantone, owned by Washington, D.C.-based Danaher Corp., has a system that helps manufacturers define color precisely. The Pantone Color Institute provides color trend forecasting, brand color development supported by brand color stories, and product palette development. Every year, the company color experts “comb the world looking for new color influences,” polling décor and fashion designers, as well as manufacturers and retailers to choose the color of the coming year. The institute then selects a color of the year “that reflects what’s taking place in our global culture at this moment in time.” Pantone tips off some marketing partners in advance, so consumers will soon see a variety of products, such as Sephora cosmetics, KitchenAid stand mixers, and Keurig coffee makers, in the new hues. KitchenAid’s new stand mixer in Guava Glaze, a warm pink tone based on PANTONE 13-1520 Rose Quartz, will be added to the Stand Mixer color palette in July. To see more fashion, interiors and products in these new hues, head over to our Pinterest board!